Q: Being a woman in this industry, was there ever a situation where you felt that you needed to prove yourself or where your knowledge was questioned? A: There were many situations within my professional career where I felt that I needed to prove what I brought to a position or organization. Then one day, I prayed and decided that who I am and will become was in my hands. From that point on, I’ve refused to give any person or organization the power over my career or destiny. 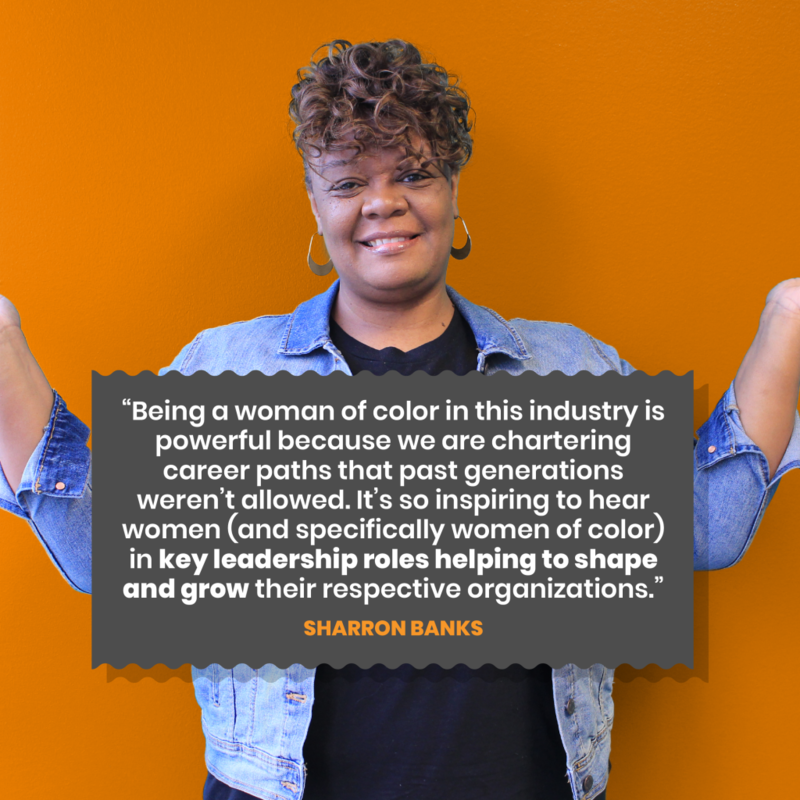 Q: Why is being a woman of color in this industry powerful? A: Being a woman of color in this industry is powerful because we are chartering career paths that past generations weren’t allowed. It’s so inspiring to hear women (and specifically women of color) in key leadership roles helping to shape and grow their respective organizations. I often reflect on the grace and favor that I’ve been afforded to be connected to a company that believes in bringing your best self to everything that you do and giving you an opportunity to grow. Q: If you were to give advice to young women in the industry today, what would it be? A: Stay focused and follow your dreams. You will experience challenges and may have changes in your course, but know that it all works in your favor at the end of the day. Be a constant learner, fearless and determined. Q: What is one quote that you live by?